ASP.net AJAX Calling Prototype based client side function on button client click. 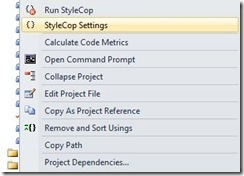 Stylecop great tool from Microsoft to enforce code style rules. Sometimes we like to break 1 or more of its rules and very much like Complier should not complain about it anymore. its easy by adding following attribute in front of element that is going to break the Rule. In the following code its class. 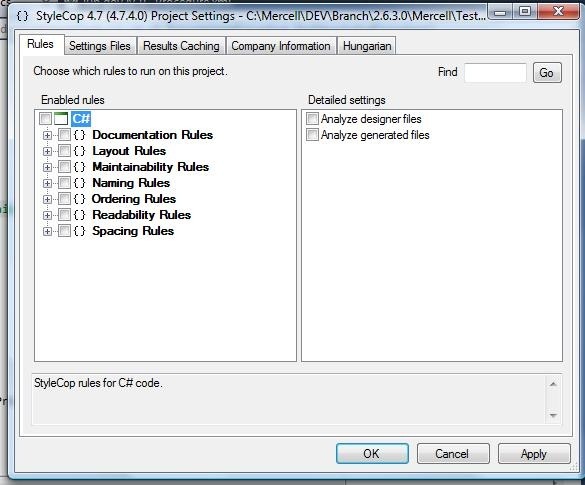 Rule violation warring in the Error List Window e.g. SA1402: A C# document may only contain a single class at the root level unless all of the classes are partial and are of the same type. SuppressMessage is not working on the message that we receive in the Error List Window, it requires CheckId. So how to get Stylecop rules checkId. Deselect all of the settings and save it by clicking “OK”. 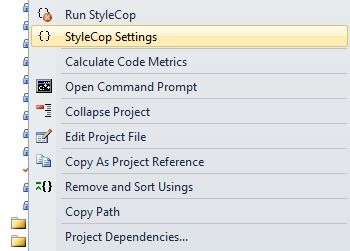 then open up the “Settings.StyleCop” that you will find in the Project directory that contains *.csproj file. 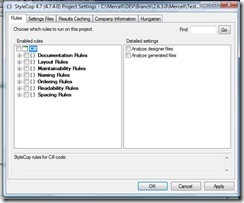 open it in any Editor , Here you can find Category Id and RuleId of all the Rules.